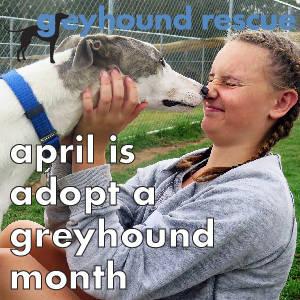 When you bring a new dog into your home – whether a new puppy or an adult rescue dog – chances are he or she will not be house-trained. They may also be a little stressed during the first few days and it may take them a while to adjust to their new routine. Whether it is because of improper toilet training or an upset stomach, you will encounter a few accidental messes and spills. With three dogs, we wondered how we could make our life a little easier and we recently put the Joseph Lyddy Pet Indulgence Absorb-it Powder to the test. HOW DOES THE ABSORB-IT POWDER WORK? The Joseph Lyddy Absorb-it Powder is an all-in-one super-absorbent powder (it soaks up to 400 times its own volume) and deodoriser. Ideally the sooner you react to any accident, the better the results will be as the moisture will not have had time to sink into your carpet. 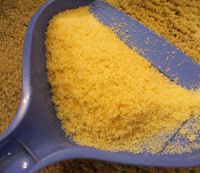 We found it extremely easy to use and started sprinkling generously and evenly over the soiled area. As per the instructions we left the powder to act for about 90 seconds for absorption to complete. This quickly turns into a little chemical experiment as the powder starts swelling whilst it absorbs liquids. We then simply removed the biodegradable waste (the powder at this stage looks like granules) using a stiff brush and pan and threw it into the rubbish bin. This was a marked improvement on having to use rolls of paper towels to soak the stained area, followed by vigorous scrubbing with a brush and soapy water! 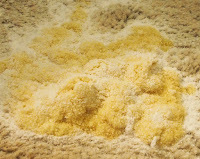 The first impression was how fresh the carpet area smelled which was unexpected as this powder did not have any particular fragrance prior to reacting with liquids. There will be a very small amount of powder left behind if you have thick carpet but any residue was easily removed during vacuuming. 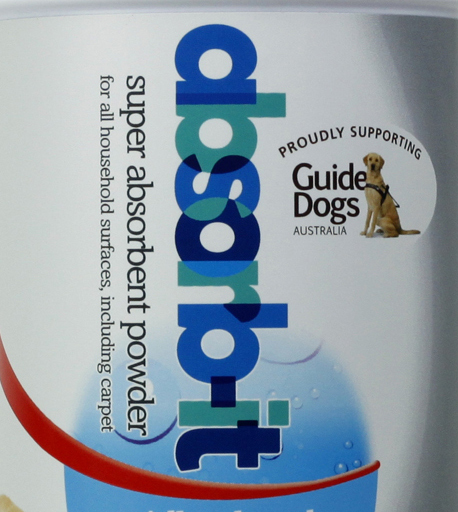 The Absorb-It powder works for vomit, urine and stool stains and it is also suitable for use on hard surfaces. This product has a long shelf life of two years so even if you only experience the occasional accident, it is a fantastic stand-by product to have at hand. To use safely you should avoid breathing in the powder. You should re-seal your container tightly and store it in a cool dry place in-between uses. 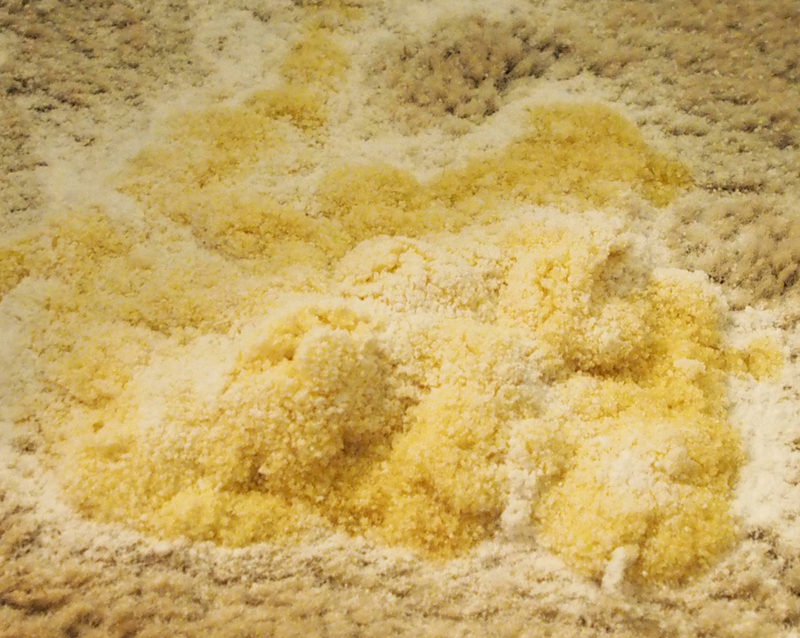 The manufacturer also recommends that you section off a small test area on your carpet first to make sure that it doesn't become discoloured by the powder. As with all Joseph Lyddy Pet Indulgence products, a percentage of sales is supporting Guide Dogs Australia.